An information professional with qualifications in archives, records management, and librarianship, Jean Dryden has over thirty-five years of experience as a staff archivist and archival administrator at the National Archives of Canada, the Provincial Archives of Alberta, and as Chief Archivist of the United Church of Canada/Victoria University Archives. Her doctoral dissertation (Toronto 2008) investigated the copyright practices of Canadian archival repositories in making their holdings available online. In 2015, she completed a Master of Laws degree specializing in intellectual property at Osgoode Hall Law School at York University. 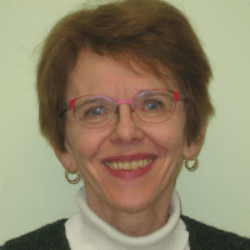 In addition to being the author of numerous publications and presentations on copyright issues, she is the author of Demystifying Copyright: A Researcher’s Guide to Copyright in Canadian Libraries and Archives, 2nd ed. (2014).